Sound mental health is essential to our daily lives and the ability to function and work is paramount to the health and well-being of work places, families and communities. As part of mental health week ROBINVALE DISTRICT HEALTH SERVICES and the EUSTON CLUB RESORT are proud to present Carpe Diem. 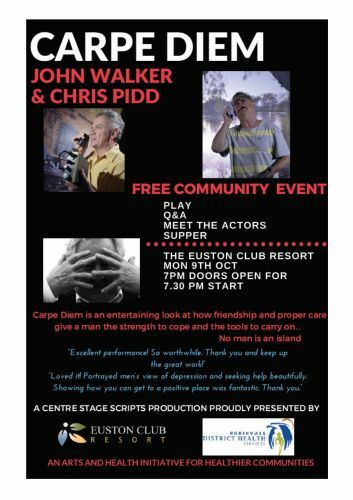 Starring John WALKER (actor- comedian Full Frontal, The Craic) and supported by Chris PIDD, Carpe Diem is a contemporary portrayal of Australian males, dealing with issues of health, grief, loss and depression. RDHS welcome the event as part of their mental health month program. Carpe Diem is a didactic comedy that delivers the mental health messages in a way that is entertaining, immediate and highly relevant. It stresses the importance of mate-ship and professional care in times of crises. Written by playwright Megan Rigoni, the play was first inspired by the experiences of people she knew. 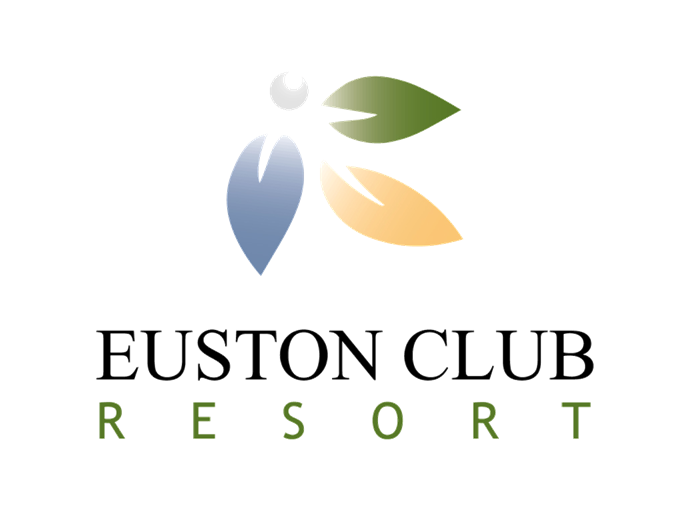 Carpe Diem will be appearing at the EUSTON CLUB RESORT, Monday October 9th 2017, doors opening at 7pm for a 7.30pm start. Bring friends, colleagues and family. This is a FREE COMMUNITY EVENT.